Since 1964, Dufour Waste Disposal has been offering sewage hauling, septic tanks, management and disposal of hazardous and non-hazardous waste, 24 hours spill response, HAZMAT, Industrial cleaning services, dewatering, water delivery, Hydrovacs. Dufour Waste counts more than 70 pieces of equipment and over 60 employees across two locations, Kapuskasing and Sudbury. Dumas is a leading full-service underground mine contractor providing services to clients throughout the Americas. 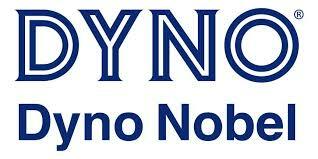 Customers in the mining industry choose Dyno Nobel for quality products, reliable service and technical expertise. Renowned for excellent safety performance and innovative explosive products and services, Dyno Nobel delivers ground breaking performance. EHP Environment provides revolutionary Online Real-time environmental monitoring solutions for mines and Industries. The monitoring stations provide continuous measurement information of water level, flow, quality from remote locations for use of Water Management, Reporting and Safety Assurance. Environmental Monitoring and Compliance, Inc. (EMAC) supplies advanced monitoring and inspection technologies for; environmental monitoring/assessments, regulatory/safety compliance, asset management, as well as overall project management, coupled with strong technical support. 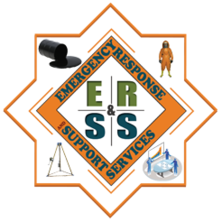 At ERSS we offer a wide range of services to meet your needs. We provide Vacuum truck/ High Pressure Washing services, Confine Space services, SO2 system maintenance and more. Employment Options Emploi offers a variety of free employment services to employers and job seekers. There is a suite of programs that could benefit all employers with training and recruitment of skilled employees to better serve the community. EPC Canada is one of the nation’s leading manufacturers of a full range of explosives products for all applications; with a depth of experience and expertise in storage and distribution in underground mining, construction and surface mining throughout Canada.